Do I Have to Be a Mechanic to Own an AAMCO? How Do We Get Customers? How Does AAMCO Leverage Technology to Drive Revenue? How Do I Finance an AAMCO? The entrepreneurial spirit drives the American Dream; it is the reason people abandon their careers, taking enormous risks, to start something for themselves. These risk takers are a big part of why the AAMCO franchise remains one of the brightest brands in the auto repair industry after more than 50 years in business. Another part is the brand’s unmatched commitment to its franchisees. For Joseph Sergi, one of AAMCO’s top-performing franchisees, the path toward opening his own business originated when he worked for his father’s auto repair shop in Doylestown, Pennsylvania. When Joe’s father sold the business in 2005, Joseph took an opportunity in the corporate world with Monro, a company that specializes in muffler and brake services. While Joseph climbed the ranks and built a lucrative career, he eventually grew tired of corporate work and decided to explore other opportunities. When Joseph heard that there was an opening in a local AAMCO center for a management position, he decided to pursue it, only to discover that the AAMCO franchise was actually for sale. 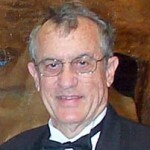 Joseph was one of the first attendees of AAMCO University. The state-of-the-art training facility in Newnan, Georgia, is a pathway to success for franchise owners and technicians alike. For AAMCO center owners, there is more than 250 hours of training, as well as more than 300 online courses focused on comprehensive business ownership principles and procedural applications. Each independent AAMCO franchisee is positioned to be a leader in their community and industry with an eye on establishing, developing and growing steady income and long-term business value for every location. 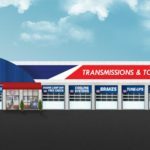 While AAMCO built its storied reputation on transmission repair, AAMCO has emerged as a leader in Total Car Care. In recent years, AAMCO has added services to help make its franchisees more profitable and more relevant to the consumers in their community. The brand has seen double-digit growth, and AAMCO franchise owners are now becoming customers’ trusted providers for oil changes, brake repairs, heating and air conditioning maintenance and more. AAMCO has added to the Total Car Care platform and will begin offering tires and tire service to their Total Car Care service offering in 2018. The consumer financing platform is a new initiative AAMCO is rolling out that will give new customers the ability to have immediate access to credit approval from several financial institutions for their vehicle’s repairs. By filling out information on a website or through a kiosk in an AAMCO center lobby, customers with varying credit rating scores will be able to find a solution that suits their budgets and eases their financial burden. 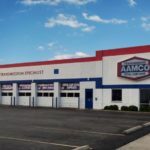 For more than 50 years, AAMCO’s network of locally owned and independently operated automotive service centers have employed the latest technology. Expert technicians diagnose a repair, fix it right the first time and back it with a nationwide warranty. Known as the world’s leading transmission expert, the company has evolved into a Total Car Care brand. With nearly 650 centers across North America, AAMCO is actively seeking single- and multi-unit operators who are passionate about the brand and committed to providing the highest-quality service. Interested candidates should have a minimum net worth of $250,000 and liquid assets of at least $65,000 per unit. Depending on the real estate site selected, franchisees can expect the total investment to be $223,600-$330,500, with a $39,500 initial franchise fee. Reduced franchise fees are available for honorably discharged veterans. For in-depth details about the AAMCO franchise opportunity, request a copy of our free franchise report. You can also learn more by visiting our research pages.